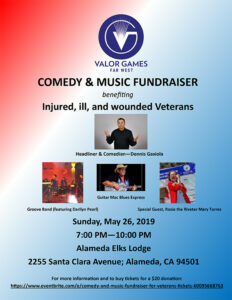 Valor Games Far West sponsors help support this event as well as ongoing sport programs for Veterans. 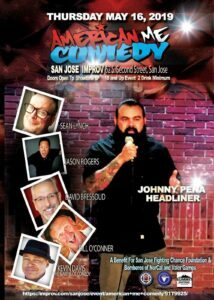 Learn more about sponsoring or donating in-kind items, or hosting a resource booth. 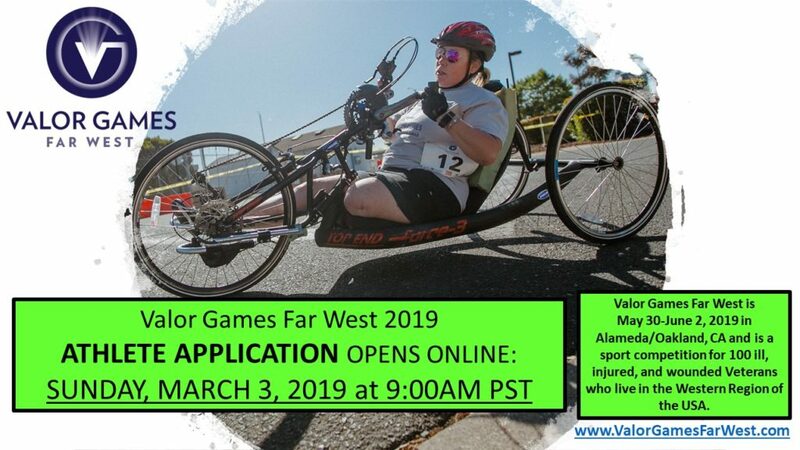 In partnership with the U.S. Coast Guard and the Northern California Regional Paralympic Sport Program, Far West Wheelchair Athletic Association will host Valor Games Far West, May 30 – June 2, 2019 on Coast Guard Island in Alameda, CA. Learn more about Valor Games Far West. Want to cheer on this year’s athletes? Learn more about spectating the event. 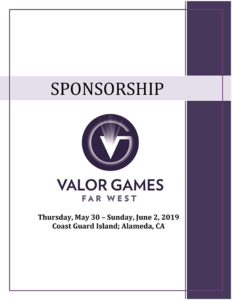 In partnership with the U.S. Coast Guard and the Northern California Regional Paralympic Sport Program, Far West Wheelchair Athletic Association hosted Valor Games Far West May 30 – June 2, 2019 on Coast Guard Island in Alameda, CA. This event is for any Veteran or active duty service member with a disability who is eligible for VA healthcare, and lives in the Western Region of the United States. The goal of the Valor Games is to introduce adapted sports to attendees in order to promote ongoing adapted sport participation in their community. Show Some Love to Our Veterans! 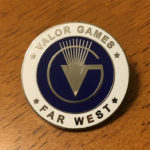 With your donation of $15 or more in support of Valor Games Far West, a Veteran will receive a limited edition Valor Games Far West trading pin, and a hand-written note that we’ll write on behalf of you! Learn more about how you can donate a pin! We are grateful for the support of our collaborating Northern California Paralympic Sport Clubs, the U.S. Coast Guard and Coast Guard Island, and our sponsors.